Have you ever thought about all of the actions of your skin each day? Simply bending your knee requires your skin to expand or contract. When your skin is old and loses its elasticity, wrinkles may develop. Your skin becomes stuck in one position, just like an old, withered balloon. CHOLLEY Crème Peaux Sensibles includes ingredients to improve the pliability of your skin – Cera Alba and Allantoin. It can recreate smooth, radiant skin that looks and feels healthy. Everyone ages, but some use superior Swiss skin care products to hide the ill effects. You eat food to keep your body strong. 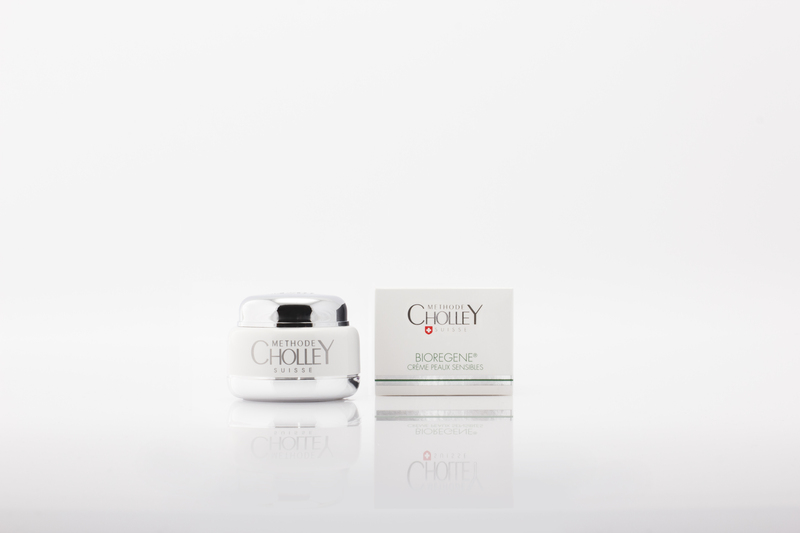 You also can use CHOLLEY skin care products to keep your skin strong, well-moisturised and supple. Learn about the 3 features of skin replenishing CHOLLEY Crème Peaux Sensibles. Your skin is the largest organ of your body. It is responsible for protection, moisturization and temperature regulation. Over time, it might need more ingredients to produce the important oils to keep it supple, strong and healthy. The most basic cleaning products remove dirt, but they also remove your essential skin oils. A daily regimen of CHOLLEY Crème Peaux Sensibles can replenish skin oils. Our product includes Hydrolyzed Wheat Protein, which conditions and hydrates your skin. Jojoba Oil is also a key ingredient of CHOLLEY Crème Peaux Sensibles – this also provides essential nutrients to replenish your beautiful skin. When your skin itches, it is sending you a message. Unfortunately, if you itch it, you might make it worse. Toss CHOLLEY Crème Peaux Sensibles in your bag, so you will always have something to relieve dry skin discomfort. This cream restores your skin’s natural oil barrier and includes Calendula to provide a soothing effect. With the three dimensional power of CHOLLEY Crème Peaux Sensibles, your skin can regain vitality. Luxury Swiss skin care soothes your skin and does not include any harsh chemicals. Replenish your skin with CHOLLEY Crème Peaux Sensibles.